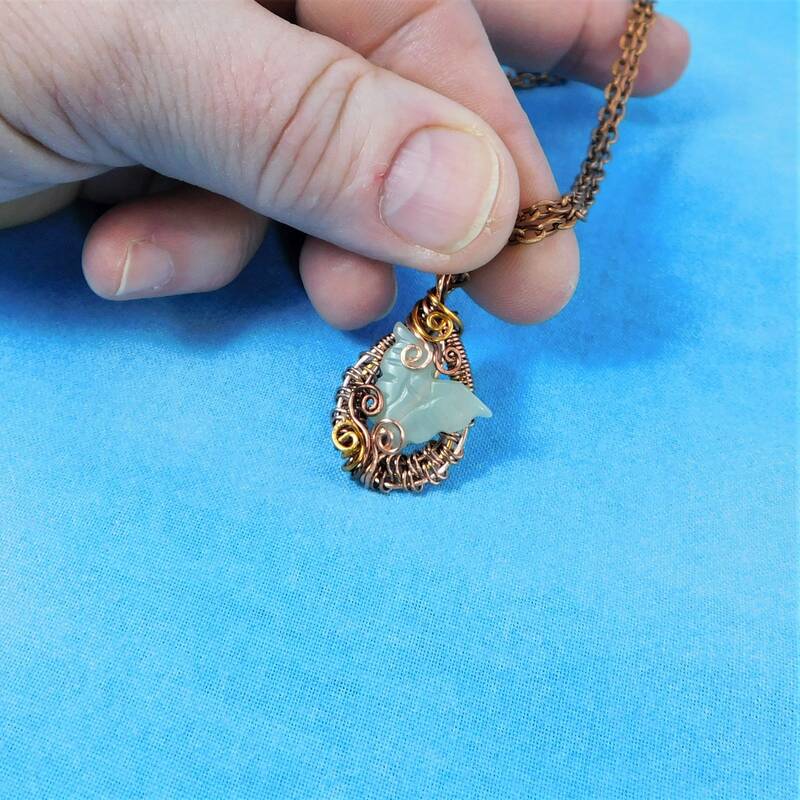 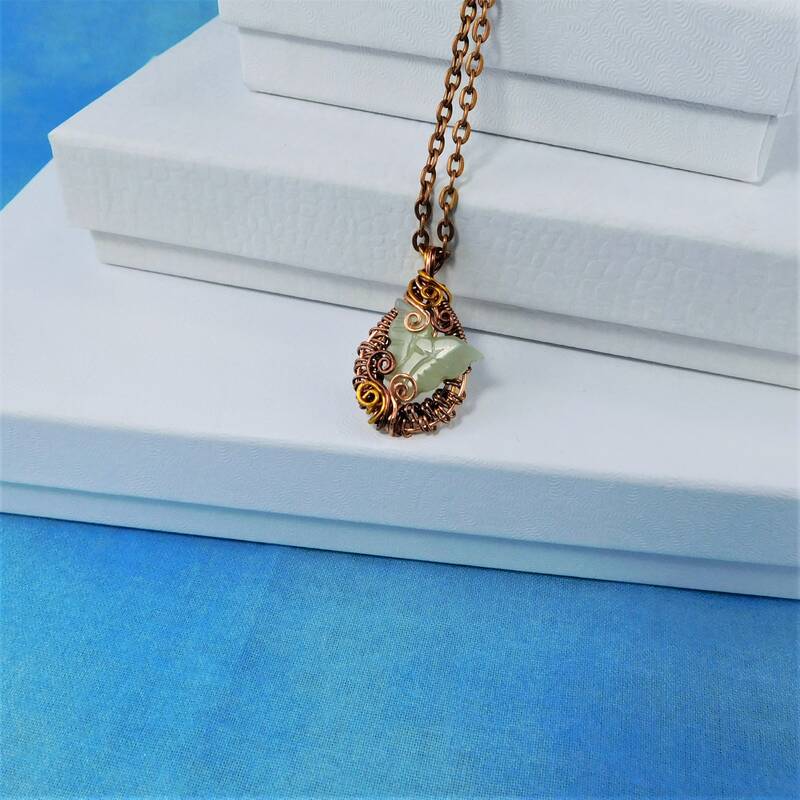 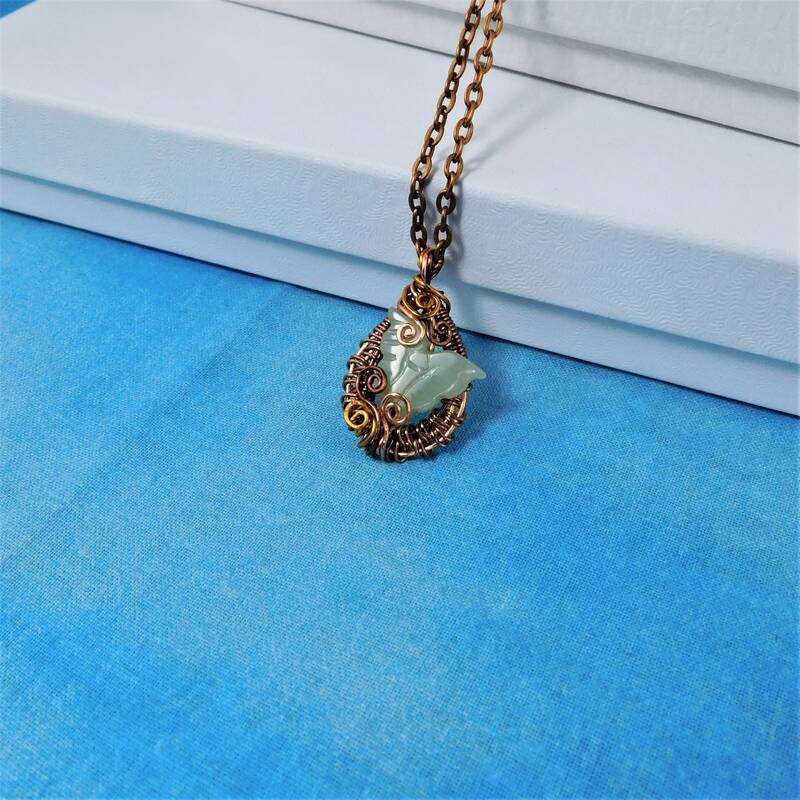 Non tarnish copper wire is meticulously hand woven to frame a carved jade butterfly. 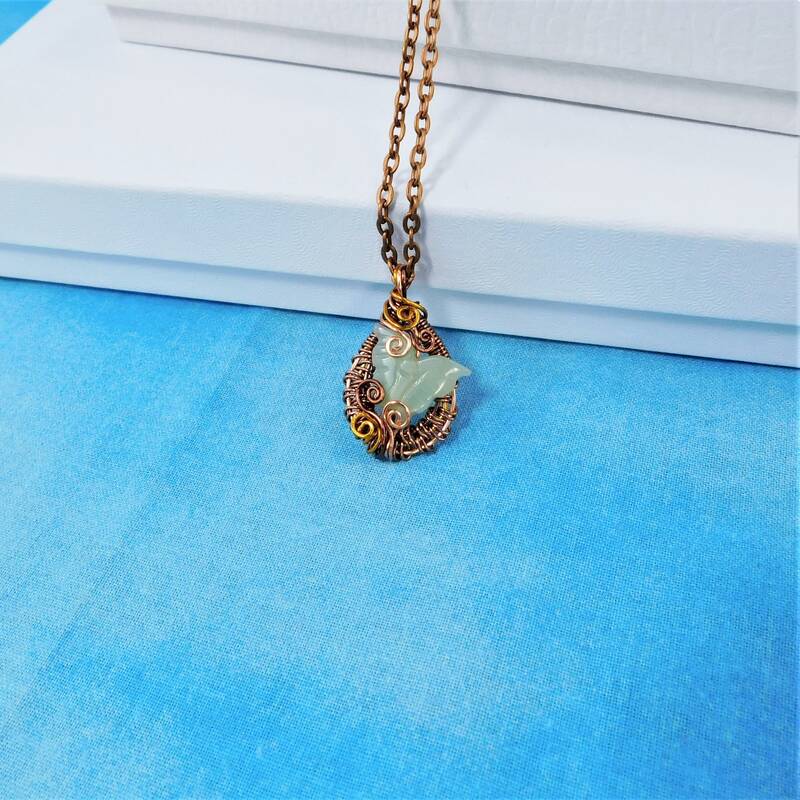 The butterfly appears to rise up from among hand sculpted, bronze and copper leaves and vines. 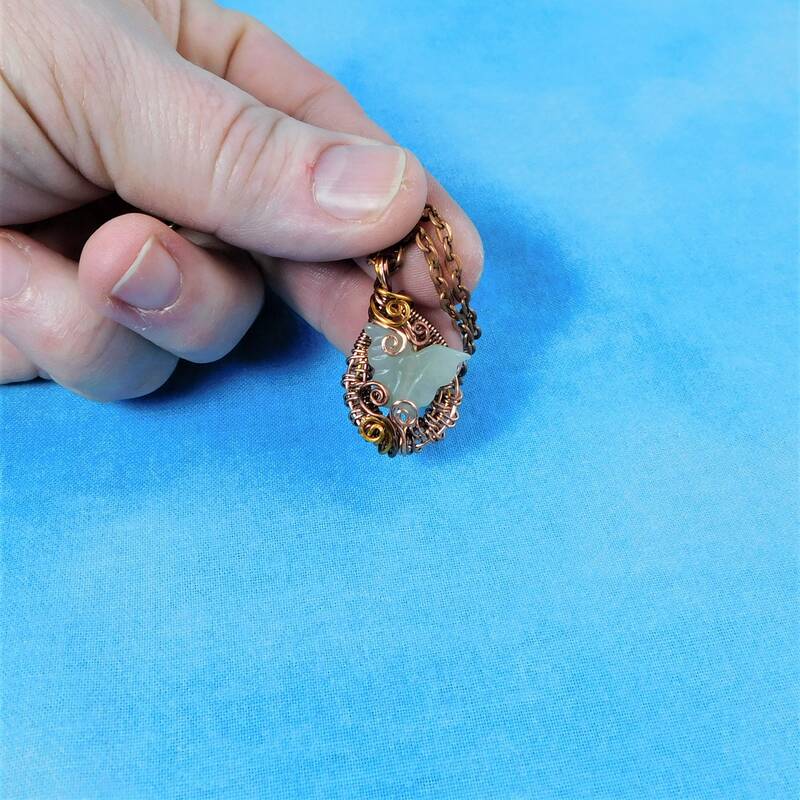 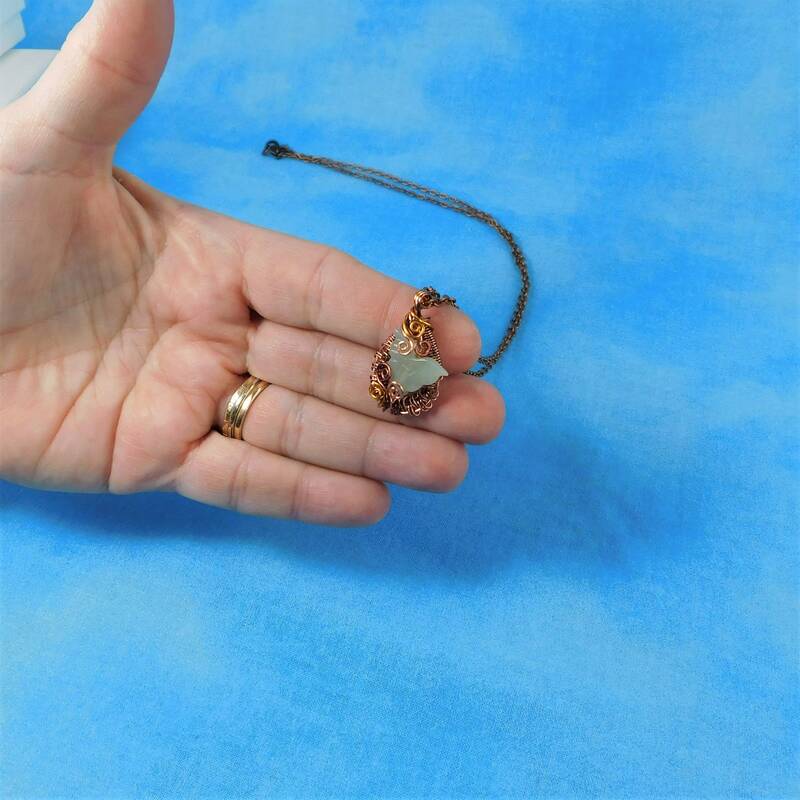 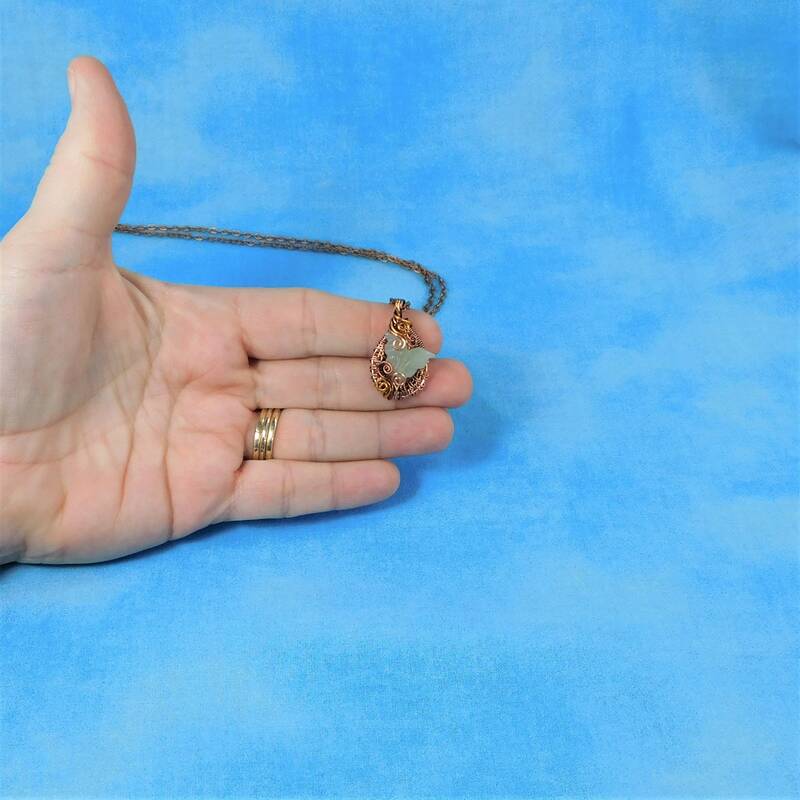 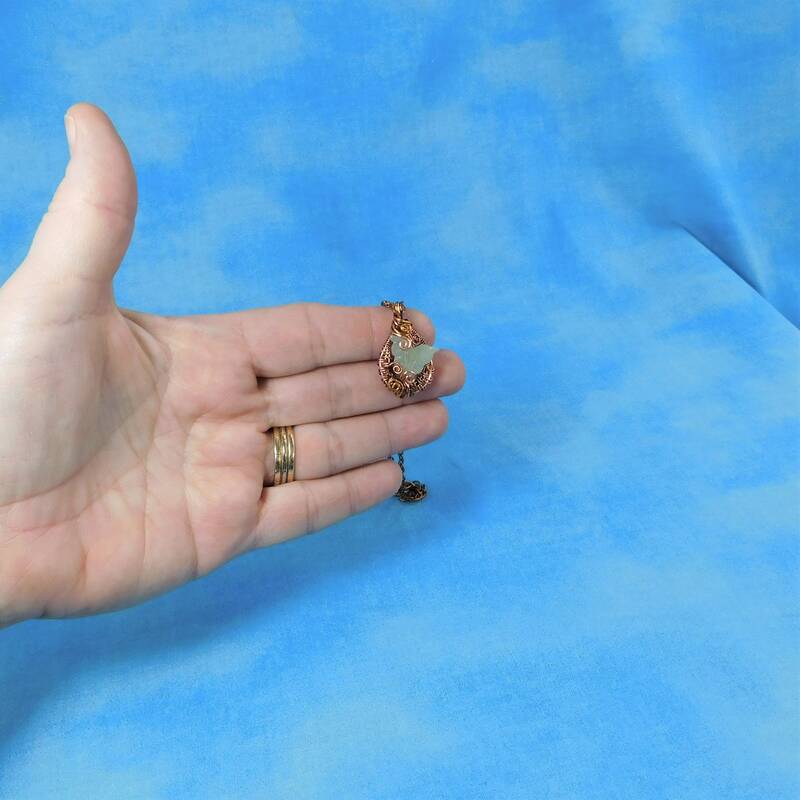 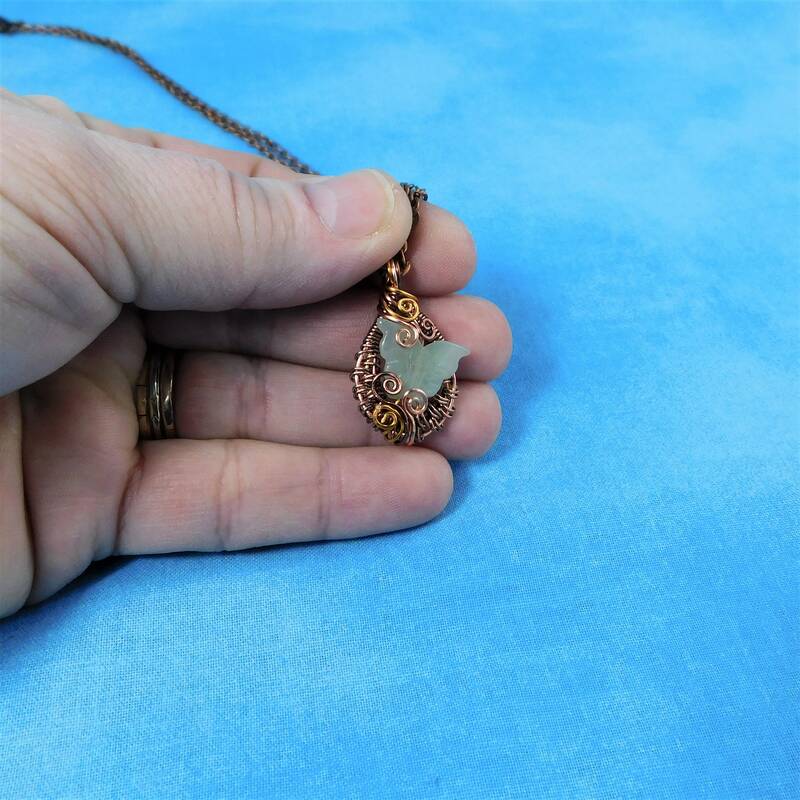 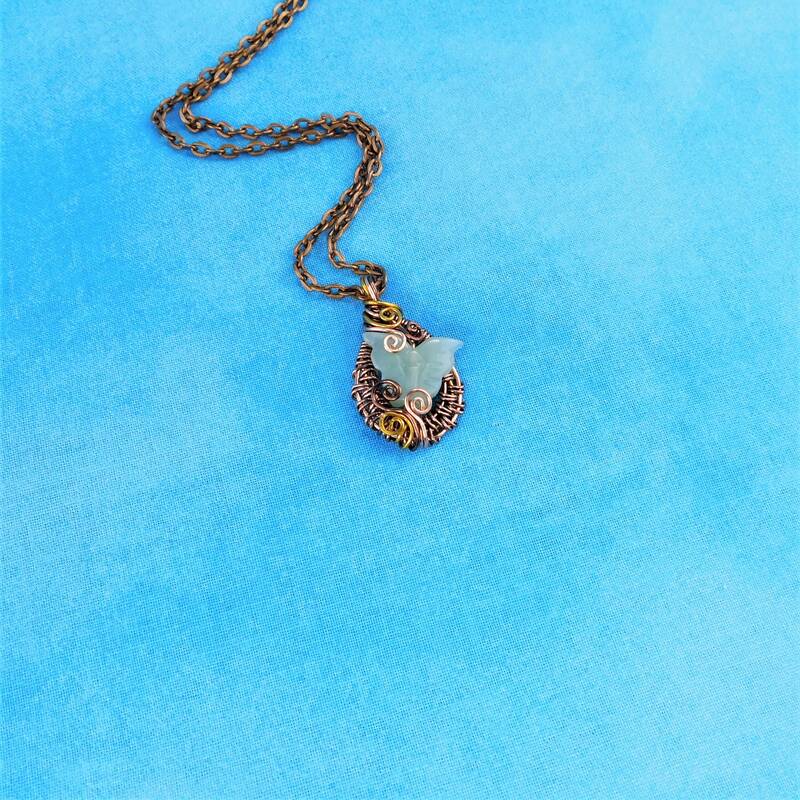 The pendant measures 1 inch by 3/4 inches and comes with a FREE coordinating chain with lobster claw clasp, measured to your preferred length.